A sort of behind the scenes look at how Google is experimenting with the mobile world. Seems they prefer phones with good browsers and flat-rate data plans. Me too. I never cease to be amazed at how quickly wikipedia updates articles...within minutes of Eartha's passing being announced. I know some people laugh at its accuracy - but on subjects that I am researching I find it an excellent source (along with others). Gave up on EBrit years ago. Blast! Just seen the documentary I have wanted to make myself. Every since I went to northern Finland in 1995, I have wanted to go back to see the Northern Lights, and find out more about the scientific research going on in northern Norway. Playing around with the HD tuner the other night, I bumped into a truly super HD production which starred British actress Joanna Lumley. I see the photographer and Aurora Chaser Kjetil Skogli has been doing well every since. He makes a small business in Tromso taking people out to see the lights in small groups. The lights have always fascinated me, although if you are long distance radio listening, their appearance is actually a bad thing, causing tremendous amounts of noise on mediumwave. I have seen them in the US and Canada, but the show in Norway is truly special. I think the documentary with Joanna is just superb. I hope they issue it on Blu-Ray. On board Norway's real-life version of the Polar Express heading north out of Trondheim towards the Arctic Circle, Joanna Lumley takes out a favourite childhood book. Turning the pages of Ponny The Penguin, she points to the simple black and white illustration that inspired in her a lifelong ambition to see the Northern Lights, writes Tony Matthews. Born in India and raised in the steamy heat of Malaysia, Joanna's childhood experience of snow was limited to fairy stories and pictures such as that of the little penguin gazing into the night sky. "We never even needed to wear cardigans, so the idea of cold, snow and ice was alien," she says. "I couldn't think what it would be like. I suppose you always want what you've never had and the Northern Lights hung in my mind as something I thought I would never see and yet, as I got older, longed to see with all my heart." In a new film for BBC One, Joanna Lumley In The Land Of The Northern Lights, the actress at last realises her ambition, having been approached by film-makers Takeaway Media who'd heard her mention it during her appearance on Desert Island Discs. The result is an Arctic odyssey by train, light aircraft, ferry, dog sled and snowmobile across Norway's spectacularly rugged winter landscape. As the film's director Archie Baron says: "It's hard to find a more enjoyable travelling companion than the clever, charming, indefatigable Ms Lumley." Joanna in turn is charmed by the Norwegian people and their tales of life in the far north, its myths and legends, and their experiences of the Aurora Borealis. She visits the remote fishing town of Å, spends a night inside an igloo hotel and meets the reindeer herdsmen of the Sami, Europe's last indigenous people, where she receives a snowmobile riding lesson from a four-year-old boy. "I loved meeting the Norwegian people," says Joanna. "They were so courteous, such good fun and so kind, and they had a Viking way of staring right into your eyes. There was a wonderful artist who darned his clothes in bright colours so he looked like a little raggedy patchwork pixie and I found the Sami people very gracious. To be treated to a yoik, a traditional Sami song, by one of the community's elders was extraordinary. I think there's a real pioneer spirit running through the country – they have to be able to ski and skate from a very early age just to get about; they're tough little children. From the age of six they start learning English and by the time they're 11 they speak three languages." Although Norway is a country well equipped for Arctic conditions, Joanna says parts of the journey proved tough going. "There were only five of us – camera, sound, director, producer and me – in masses of clothing, lumping 35 pieces of equipment everywhere, which was very good for your waistline. When we were outside, filming in minus-26 degrees, the cold was so intense it took your breath away." Joanna describes the majestic snowfields, mountains and fjords as a "fairytale vision, savage, sublime and quite overpowering", but its greatest glory comes not from Earth but from space where particles, carried on solar winds, are attracted by the magnetic poles. As these particles hit the top of the atmosphere, their energy is converted into the most astonishing light show – the Aurora Borealis. "We saw a bit of a showing on another night, but not enough to film and, because we were on a tight schedule and all had other jobs lined up, we were stuck. It was almost our last night and we were getting a little bit tense when this extraordinary man, Kjetil Skogli – an Aurora expert – came to assist us. He told us that conditions where we were would be bad again, but he had a feeling that if we went to a particular fjord we might have a good chance. So we drove like mad to set up the equipment and get into our survival kit. "We stood on the foreshore shivering, it was so cold. The moon was bright, the wind was quite hard and the stars were very bright, the water was glittering. We stood there thinking what are we looking for, what is it? Then just above one of the hills was this extraordinary bloom, like a kind of algae, just growing, like a weird fence or curtains or snakes. It began to throb and pulsate into a very vivid green and then it began to split up and change. For about the next hour and a half it was just mind-blowing, we were all shouting to each other, sometimes lying on our backs like babies, it was like nothing I'd ever seen. "It's not earthly light, these are solar atoms hurtling past and getting sucked in by the magnetic force of the world, you have to slow the camera apertures right down to get enough of this extraordinary light in. I had to stand as still as a rock, with the wind blowing and buffeting, so that they could film and then later show it in real time; it's a weird way of filming, but there's no other way of doing it. I think it may well be the best film the world has ever got of the Lights, they are phenomenally hard to capture." Labels: "Northern Lights" "Joanna Lumley"
I am always amazed by Nokia sales people in that they can show you products (like the new N97) but can never say when its going to be on the market. Late 2009 "based on previous experience". The N97 is same size and weight as my N95 but fold-out keypad which is way better than the N95. Bigger screen too. Still think Nokia is behind in navigation. Getting ready for tomorrow. It's really looking good! This is the parallel session room in Paris where start-ups can pitch..and get feedback from peers. I'm curious to see how this works. I saw some great pitches in Palo Alto and Geneva earlier in the year...and some awful ones in Amsterdam. The ones in Holland are not prepared or produced, and as a start-up you gain nothing from the advice of the panel-members. If you see the amount of prep work that goes on behind the scenes to make this into something interesting, then you see why it doesn't work (yet) in the Netherlands. I'm looking forward to Le Web in Paris tomorrow. It's courageous of the organizers (Loic le Meur) to attempt something of this scale (1500 people), especially at the moment. But it is exactly at the moment of a major slump that some of the best ideas are born. Leweb looks like its attracted many of the best ones from Europe, Middle East and North America. This has more chance of coming up with great ideas (and deals) than some of the traditional broadcast/new media conferences and festivals. 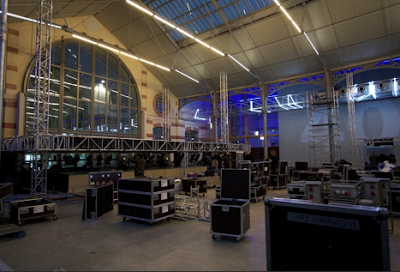 Can't fault the LeWeb program this year...everything's set for this to be the best yet. I'm impressed by the way LeWeb learns from its participants. If they don't take up an idea, there's usually a good reason. Compare that with some other conferences (like Broadcast Asia in Singapore) who are deaf to any form of critique, having developed a format in 2001 and just repeating the same old thing, year after year. Let's hope the slump clears out the rubbish and stupid business models in the conference business too. I've started a service for clients reviewing conferences rather like the Consumer Association. How do they rate in terms of networking value, content, exhibition, etc? When some of the conferences still demand 1500 Euro and more for what is a series of panels, my advice is to be very, very choosy about what's worth attending in 2009. In the train to Paris and experimenting with the wifi on board. Its painfully slow for most of the journey....some sort of satellite system. Getting around 33k throughput, which is bad dial-up speed. Thalys used to be top, but in the last few years the budget cutbacks are noticeable with rolling stock that is in need of refurbishing. Catering has also been reduced to cold snacks. What I still find strange is that they work with paper tickets (which means you can book on the Internet, but they send you paper tickets through the post within 3 days). 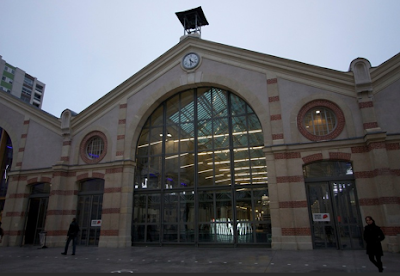 If you buy a ticket online and then want to pick it up at the station they charge you a fee. The other challenge is that you have no idea where you're sitting (I want a window seat to be near a power socket for the laptop) and so if a colleague has made a separate booking there's no way to sit next to them. 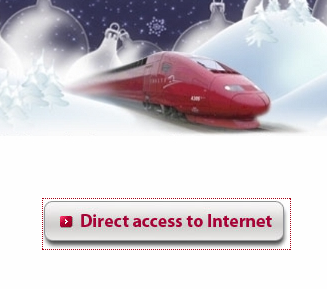 Thalys needs to move into the 21st century. I am working on a robust solutions for a reporter working in Africa and having to record audio on the road under difficult conditions, i.e. lack of mains power. These guys in the US are developing waterproofing films to make it possible to keep damp (and dust) out of the equipment. Wonder if they can do it for mini PC's? Yes, the Pure Evoke seems to be a nicest new wifi capable set on the UK market and I'm curious to see whether it has a better selection of stations than their competitors at Reciva, who seem to be plodding along in the same market with much less exposure these days. This Evoke set is indeed brilliant for diaspora listening. So how come the male journalist at the Telegraph/ITN in the UK in the video above seems to take rather stupid examples to demonstrate the radio's capabilities. Who will pay 150 quid to listen to Iranian folk music in the bathroom? But it is brilliant to be able to follow Radio Australia or Radio 702, South Africa when there's a breaking story in that part of the world. Of course, the same streams are available on any laptop, but the trick is that the radio fits in the kitchen and its amazing what you hear by accident. "According to industry figures, compiled by market research firm Gfk, sales in the UK have doubled in recent months, with the number of radios sold increasing by 105 per cent between June and October. Compared with 17,000 sets sold last year, the industry expects about 110,000 to be sold this year. This will still make them a relatively niche product compared to Digital Audio Broadcasting Radios, but experts believe they will ultimately overtake DAB radios." 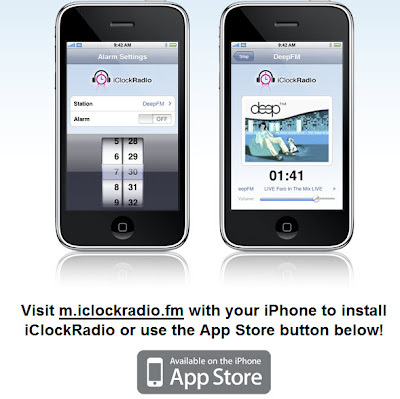 The Mobilaria guys in Hilversum have come up with a very useful simple app for the iPhone and iPod Touch which wakes you up in the morning to your favorite Internet radio station. Costs a massive 0.75 cents in the Apple Store, although when I tried a few minutes ago I could get the Store to work. More details later. But the interface is clearly a useful step in the right direction. Radio's current interface is rubbish! Very impressed with the new newsroom at VRT in Brussels. Boy, have they thought about how to make cross-media news. Giving a couple of presentations today as part of the VRT's Technology day for programme makers. I'm curious to see how they will interest the creative staff in relevant technology. Labels: VRT "Flemish Public Broadcaster"
I must confess I switched the radio off this morning and came downstairs to consult the webpages of the same station. It was truly an awful story out of India today. But the reporting and analysis on the radio was truly awful too. I have seldom heard so much muddled story-telling and pure speculation. There was even a piece about the possible effects on the entire Indian business community. The context to the disaster was totally lacking on the radio and they were spinning out 4 minutes of news into an entire half hour. Yes, I learned they had a reporter outside one of the hotels and no, he didn't know any more than the agencies that there were people inside who'd been taken hostage. But I wasn't told how this had affected travel in(to) the city. All the other news didn't exist in the hope that there would be more breaking statistics to "switch live to". There was so much confusion on the wireless, I switched it off. In contrast the web gave relevant facts about previous incidents of this type, all the statements from international leaders, maps, and travel advice from people in the region. Al Jazeera English has the best TV coverage out of the region at the moment. Again, context is so important. Radio used to have the best "pictures" and analysis. Not any more. Labels: Mumbai Bombay "Poor radio reporting"
Great stuff. Old - but suddenly rather topical again looking outside my window. So, Mobuzz TV is history, after nearly 4 years of trying to produce daily tech lifestyle shows, about 4-5 minutes, Mon-Fri in 3 languages. The clue to their failure likes in the slogan at the top - Television 2.0. After the initial enthusiasm died down, they turned it into a studio based compilation of stuff found out on the web. So there didn't seem much added value when compared with the shows coming out of Silicon Valley. They didn't succeed in empowering their audience and when things went bad (like presenters resigning) they made classic communication mistakes in going dark and into a wall of silence. So the fans realised they were being broadcast at (like TV 1.0) and the community on the site shrank to a handful. Conclusions - studio based stuff with "presenters" making mash-ups of stuff the audience probably already has access to is not going to work, especially if the production costs are so high (50,000 Euro a month towards the end). There are clearly formats that will work on these new platforms. But learn from Mobuzz what not to do. Their own routine killed it in the end. Delighted to see the Youtube player has just been reformatted to accept Widescreen 16 by 9 material. That has stopped me posting stuff in the past. Twitter is alive this morning with the news that Nigel Chapman is leaving the BBC after nearly 31 years service. 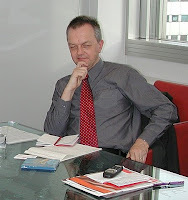 I first knew him when he was Deputy Director of World Service back in 2001, but he since went on to fill the Director's post for four years. He's to become the CEO of the children's charity, Plan International, early next year. Nigel has presided over a turbulent shift in emphasis at the BBC World Service, as 11radio language services have closed to make way for new on-line and TV activities. It's not easy to explain the reasons for these changes to creative staff, especially when audiences are remote and each country has a different political and media structure. But, having been a judge at the recent AIB awards 2008 and seen a lot of WS entries, it would appear that the short term pain is now resulting into visibile gain - especially in the non-English language services out of Bush and Broadcastingg House. I for one wish him well. Since Plan supports a lot of programme production in developing countries, I don't think he's going to lose sight of the international broadcasting scene very soon. Labels: "Nigel Chapman" "BBC World Service" "Plan International"
Looks like the Koreans (Samsung) are ahead when it comes to flexible displays for the next generation mobile phones. The video just in was shot in Tokyo and spotted by Marc Canter on his blog. Wonder if this stand-alone video phone works on the internal battery or whether it always needs AC power. If it runs on batteries, it might have applications for radio stations in Africa. 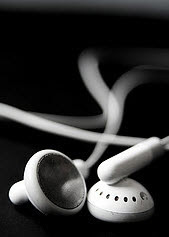 An increasing source of income is providing chat services between their listeners and their family and friends abroad. Probably need to wait until the price drops, sorry, tumbles below 75 bucks. I am bit worried about investing in a proprietary system - we've all learned the lessons from the Worldspace radio fiasco. 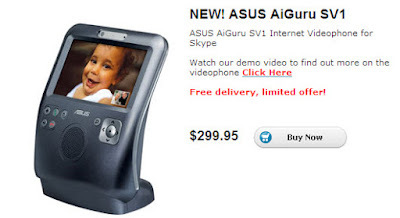 Labels: "Skype videophone" "Asus AiGuru"
Local traffic authorities in Holland putting out warning's that tomorrow's commute is going to be challenging. This snow has crept up on us. It is bitterly cold - by West European standards. This sign hangs on the door of an old ironmongers at Skansen in Stockholm. They show you how Swedes lived in times gone past and the traditional crafts. Whilst I can understand they don't want buggies, icecream and cigarettes inside, it seems strange there is a ban on photography. If they don't allow visitors to spread the word, it will definitely die out. Someone's been busy at the train station in Schiphol. Looking outside that's exactly what your buying. With delays because of leaves on the line. In the spirit of what's happening at the BBC and some of the other public media institutions across Europe, Dutch public broadcasting (NPO) has opened a test lab where they are openly testing new ideas, formats and technologies. At the moment they are experimenting with technologies to help people in the Netherlands find more of the output from what is still a very complex broadcasting system. But there are some creative people behind the initiative and they have great plans for 2009. There are hundreds of events for broadcast managers, promoters, and investors. But only one NPOX, a one-day festival of great ideas for programme makers. 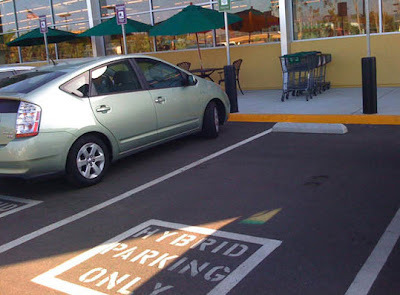 Cleverly done. Just finished a couple of weeks of conferences and an awards ceremony in London. Big shakeouts coming in the conference world, especially those connected with broadcast. A digital radio conference in London at the end of October attracted just 15 participants - the rest were speakers. A case of serious bad planning which made me wonder why they didn't cancel it. Contrast that with Radio at the Edge held in London on 10th November. There were several thought-provoking sessions there with some really original case studies. 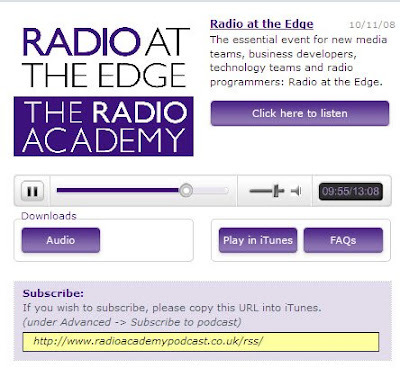 I recommend the 13 minute podcast on the Radio Academy website. My son Christopher is studying media in Amsterdam, but doing all kinds of projects alongside. Since there is so much competition in this field, it's essential to get experience as soon as possible. He's currently doing great things for the MarketingFacts blog in the Netherlands, building concepts for their next generation site. And its all his own initiative which is great. These guys won an AIB award in London last week for their efforts through the Serious Request programme to raise 8 million Euro for drinking water projects in Africa. These guys are passionate about their work - and it shows. Labels: NPOX 3FM "Serious Request"
A truly excellent location - home of the London Symphony Orchestra. Over 300 entries - standards for TV and cross media were well up on last year. There were some great radio entries from independent producers such as Ruth Evans and 3FM Serious Request. But there were also entries from radio stations who have clearly lost their way in this "new media" biz. Overall, budget cuts to radio are showing up much faster than I expected. The place was packed out to capacity. Labels: "AIB" "AIBAWARDS", "AIBAWARDS" LSO "LSO ST LUKES" London "Old Street"
Food from Fifteen Events was brilliant. Very difficult to do lamb for 215 people and get it right. Labels: "AIBAWARDS" LSO "LSO ST LUKES" London "Old Street"
Have great respect for what Headshift are doing on the edge of broadcast and social media. 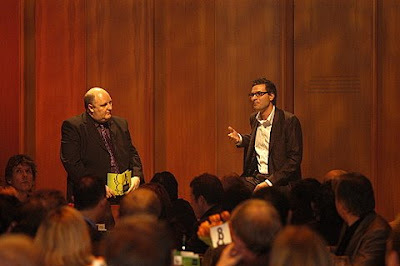 Had the chance to have a great conversation with Robin Hamman at the AIB Awards in London. It's all lit up on the night....busy inside as this is happening. I think this is truly a brilliant idea. 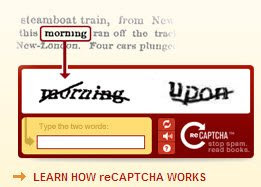 Currently, the recaptcha team are helping to digitize books from the Internet Archive and old editions of the New York Times. 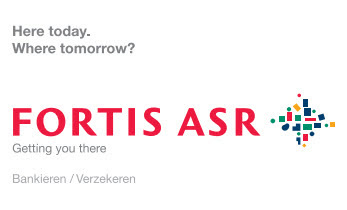 The Fortis slogan for this Belgian/Netherlands Bank looks a bit silly at the moment. Should read - Here Today, Gone Tomorrow. Having seen recent quotes for a website for a client, I got curious about the world of Cascading Style Sheets for my own holding page. It is amazing what great ideas are out there on the Interwebs...and how easy it is to make something engaging. Labels: "jonathan marks" "Critical Distance"
What can you afford to miss in this recession? 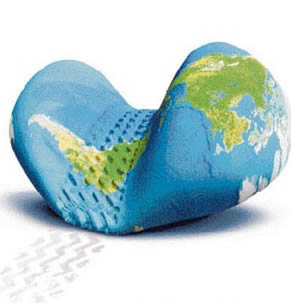 I help to drive several global knowledge networks of media and creative professionals. After some extensive comparing of notes, we've concluded that one way to avoid economic meltdown is to critically examine your participation in all conferences and festivals. Not only are there far too many, they often boast that they are "unique" in providing a platform for speakers and specialists to find each other and do business. It is strange that there's not yet a "consumer guide" to this multi-million dollar business. So we have been asking the questions: What would happen if conference X didn't happen next time? What opportunities would be missed? Which conferences are worth the hassle of an airport frisking? Why can so few conferences give a clear picture of their return on your investment? For our clients we have now compiled an independent short-list of what is hot - and what is definitely not. The precise short-list depends on your interests and role in the media, but it is a short list. We will spare you the long list of conferences-going-nowhere and hype festivals for the newly rich and famous. This global economic meltdown in late 2008 is affecting the media industry as much as the financial sector. However, remember that there will be winners as well as losers. In the previous dot-domb era just after September 11th 2001, several great media companies did very well. Why? They understood the needs of their audience and had a clear, sustainable focus on what they wanted to do. They prospered in difficult times. It is no different now. My most recent commissions have been helping companies restructure their ways of being creative. Forget the term "new" media. We live in an era of now media...for most of us digital switch-over has happened! There have already been plenty of experiments with emerging technology to know what works, what has potential for success and what should be shut down as soon as possible to save resources for better ideas. The problem for most companies is not introducing new ideas. Instead many media companies are drowning in their legacy, trapped by self-imposed routines. This weighs them down to the point of disaster by an inability to shake off the old ideas. Looks like the results on the stock market are inversely proportional to the quality of entries to the Association for International Broadcasting Media Excellence Awards this year. Some really brilliant ideas amongst over 300 entries. Here's a sneak peak of the venue in central London on November 12th. Hope to see you there. I think the current economic crash will also halt the development of 3D movie making. Having watched Journey to the Centre of the Earth at IBC, I was grateful for the experience, but escaped with thanks to the world of HD production. The depth doesn't add anything to the story, except when they artificially push something towards the audience as part of some forced storyline. Compared to films like Incredible India on a 4K digital projector, I know immediately which is the more pleasurable experience. And you don't need the glasses. Wandered around Skansen this morning, a mixture of a living history museum and a zoo (featuring animals found in Sweden). Skansen turns out to be the world’s oldest open-air museum, situated on the island of Djurgården within the Stockholm city limits. You can go by tram - or grab a ferry which costs 30 Kr and takes just 7 minutes from the centre of town. Visitors meet a miniature historical Sweden reflected both in the buildings and their surroundings – from the Skåne farmstead in the South to the Sami camp in the North. The buildings are life-size, it is just the distances that have been shrunk. The venues illustrate the different social conditions in which people lived in Sweden between the 16th century and the first half of the 20th century. The majority of houses and farmsteads are from the 18th, 19th and early 20th centuries. The colours of the trees this time of year are stunning. Lucky with the weather on Saturday morning...in the afternoon it clouded over. WorldSpace, Inc. (NASDAQ:WRSP) has announced (at last) that it, along with its U.S. subsidiaries WorldSpace Systems Corporation and AfriSpace, Inc. have filed voluntary petitions for reorganization under Chapter 11 of the United States Bankruptcy Code in the United States Bankruptcy Court in Delaware. The WorldSpace Board of Directors unanimously determined that Chapter 11 reorganization was necessary for the Company to engage in an orderly process to raise sufficient funds to repay its senior secured and convertible notes by means of either a sale of the Company or its assets, or a recapitalization of the Company. WorldSpace says it will continue to operate its business and manage its assets as a ”debtor-in-possession” under the jurisdiction of the court and in accordance with the applicable provisions of the Bankruptcy Code and the orders of the court. The holders of the Company’s existing senior secured and convertible notes have agreed to provide, subject to the satisfaction of certain conditions, a “debtor-in-possession” financing facility of up to $13 million for a period of 90 days in order to facilitate a sale transaction. The financing facility is expected to enable the Company to continue to pay salaries of critical employees and continue operations which are critical to preserving the value of its core assets through the term of the facility. So who's going to buy it and how did anyone value this system as worth 13 million? 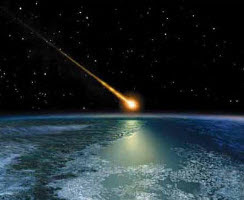 Lets face it, since launch, Worldspace has done nothing but enjoy a long slow decline. They provided an audio-only platform too late to many markets where video was already dominant, and pay-radio to areas with no-tradition for paying for radio. Perhaps the biggest failure was their inability to provide an electronic programme guide of what was on. The marketing hype in the early days "serving 3.2 billion people of the world" and claiming the satellite could be received in cars was just beyond belief. They made an aborted attempt to service Africa with Pay-Radio, but the radios they offered were too expensive (10-30 times an analogue FM set), and the mini-satellite dishes had to be on window-sills or outside on a balcony. If you put the dish outside the sun either destroyed the plastic (UV made it brittle) or the rain got it. I am using the past tense. In theory, 1worldsapce can pay its bills and get out of this mess. I cannot see this happen in practice. Show me one successful radio station that has built its business plan on distribution via 1Worldspace! Please! Sadly, there isn't one, because the business model was flawed from the start. There is no such thing as international local commercial radio. WORLDSPACE expects that, beginning in late 2008, it will begin broadcasting throughout Italy with 40-50 channels of commercial-free music, news, entertainment and sports programming, 24 hours a day. WORLDSPACE plans to use the most advanced digital audio technology available today (MPEG-4 aacPLUS v.2) and the service will be promoted extensively via all the media as well as other in-market activities. WORLDSPACE's programming will include an innovative, unique channel exclusively dedicated to FIAT GROUP AUTOMOBILES, its dealers and customers. For the first time ever, an automobile manufacturer will have a radio channel through which it will offer both promotional and customer-assistance services. Beginning in late 2009, FIAT GROUP AUTOMOBILES will introduce WORLDSPACE satellite radios as factory-installed (OEM) optional equipment on certain of its Fiat, Alfa Romeo and Lancia models. In addition, FIAT GROUP AUTOMOBILES will be able to offer WORLDSPACE portable satellite radio receivers to its customers through its aftermarket channel. Oh, and I see Sirius has let 50 staff go this week as the credit crisis rips into the US tech and entertainment sector. That was on the cards for some time.....but Sirius is another story. Would I recommend anyone to invest in the satellite radio business? No. Have not met any project yet that did the proper market assessment and provided people with what they wanted at the right price. Labels: "1Worldspace" "Noah Samara" Worldspace "Worldspace Bankrupt"
Is it just me,or has anyone else noticed the quiet demise of many podcasts? They have either migrated into the video vodcast or you're hearing an on-demand piece of radio that aired previously. Yes, there are some exceptions, like This Week in Tech, but in other sectors there's a lot of podfading going on. Making good audio that engages people in a conversation does take skill. In others news, I am still amazed there is a 1Worldspace ( wow look at the stock plunge to under a dollar) and that anyone believes that DRM, digital radio below 30 MHz, has a hope of catching on. It seemed rather obvious that the EBU-WorldDMB statement about the future of digital radio did not mention DRM at all. Despite cutbacks at Seesmic as a result of the economic downturn, there was some light in the form of great candid responses to questions put to John Cleese. Normally, the public wouldn't get access to the great actor/comedian, but this is a new social experiment and John played ball. He's also been playing around with podcasting too. Getting access to people like John may be the clue to the future business model for Seesmic. They promote themselves as making video conversations possible. But people like John give you a great subject matter to talk about. Labels: "John Cleese" "podcasting" "Seesmic"
The UK's Channel 4 has scrapped plans to launch three DAB/online radio stations - music and entertainment station E4 Radio, speech station Channel 4 Radio, and music station Pure4. Doing so will yield 10 million of a total of 100 million pounds it needs to save to stay around. 15 jobs will go..although that doesn't seem a lot of people to make high quality radio channels. I guess all the content would have been commissioned, so this news is really bad news for the UK independent radio production sector. That will make it a lot more difficult for the fellow shareholders in 4 Digital Group, which has announced plans to roll out the second UK national commercial digital radio multiplex. The future expansion of commercial-funded DAB digital radio in the UK has already been clouded with the closure of a number of stations by GCap Media, citing high distribution costs. According to today's Media Guardian, commercial radio groups have been reluctant to invest further in the platform because, despite encouraging takeup of digital audio broadcasting (DAB) radio sets, they have been unable to make it pay. The big problem with radio remains its inability to tag interesting content or to send a great bit of radio to a friend. Yes, there are groups working on solutions, but meanwhile the commercial side of the biz is in trouble. Labels: "Channel 4" "DAB Radio" "E4 Radio"
I can see the Blackberry Storm is not going to be a device for me. The screen has a clickthrough method of entering data. Navigation up and down is done by press and hold, not the sort of touch and flick idea you see on the iPhone. Only ever send short SMS's, so the keyboard is going to be wasted on me. Blackberry has definitely got the business market, but the consumer market will be tough going. 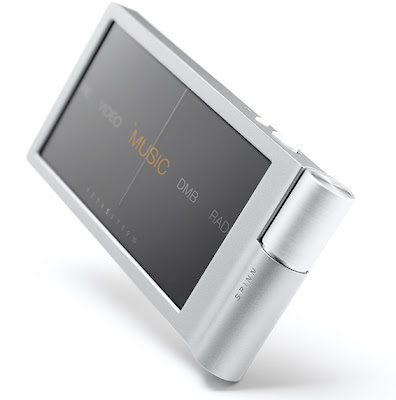 Never been a fan of iRiver, the Korean flashplayer iPod wannabe company. Whilst their designs have been quite nice in the past, the user interface on their smaller flash players has been truly awful. Only geeks could operate the dam things. Added to that their European sales office has no clue on how to work with journalists. Now Engadget is showing the new iRiver Spin, though they don't seem to be making much of the DMB capability on the new player. That's cause DMB isn't rolling out in the US I guess. The prices are outrageous in the US - bearing in mind the cost of flash memory these days. We get 4GB (US$249.99) and 8GB (US$289.99) varieties. The 4GB version looks outdated before it launches...you can't sell a player with that kind of memory these days. The device has a 3.3-inch, 480 x 272 AMOLED display, support for MP3, WMA, OGG, APE, FLAC, AVI, and WMV files, DMB tuner (in the US, FM I guess), and Bluetooth 2.0. No support for Mac (or AAC files), and perhaps more importantly, won't work with iTunes. So nice design, but watch for it in the remaindered section of Curry's/Dixons at the start of next year. Its the wrong mix of technologies at clearly the wrong price. Yet again, Despair is proud to unveil another Brilliant addition to the Demotivators Canon- one perfectly suited for such times as these. For most of us, these are days of white knuckles and dark prospects. But for the select few who enjoy the commanding heights of industry, they are instead times of polished fingernails and golden parachutes. How did it come to this? How did the nation that once repudiated aristocracy and celebrated meritocracy become a place where financial gains were privatized while financial losses were socialized? What are you asking me for? Like I know. I dropped out of community college. I make a crap salary and work in a dingy cubicle that smells like phenol and fish curry (thanks I.T. guys!). And I've got about as much chance at upward mobility as Leonard Bast- and that's after he quit the Porphyrion! But here we are. In a capitalism married to socialism while flirting with plutocracy and considering an affair with kleptocracy. And no, I'm not a Marxist. I just want a system that's fair. 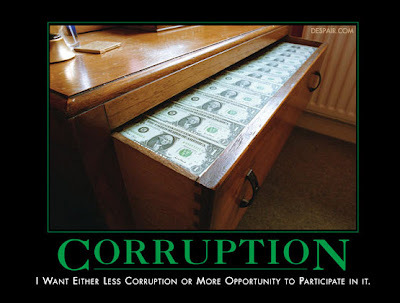 I just want less corruption- or more opportunity to participate in it. Plaxo is a great idea. A community that started with a simple way to keep business cards up to date. Except that a growing number of people don't know their own phone number. The problem is that people are updating their phone numbers in Plaxo with the wrong format phone number, which means they no longer work when dialled from a smartphone or from within Outlook. Goodness knows who started it, but it isn't helpful. James O'Neill started a campaign for real numbers last year. Let him outline the problem. International calls to the UK don't use the 0. If you call me from abroad you dial your local code for international, followed by 44 for the UK, 118 for reading, 9093080 for my phone at Microsoft. And convention - an ITU standard called E164 - says you write this +44 118 909 3080. The standard doesn't care if I write +441189093080 or +44 (118) 909-3080 spaces dashes and brackets are ignored. E164 numbers dial correctly from mobile phones - even when they've roamed to other countries so to facilitate use outside their home country numbers should be stored in E164 format. People in Britain have started writing +44 (0) to mean "Dial international followed by +44 outside the UK, and 0 in Britain". Nobody who lives in Britain needs to be told this any more, but it's actually messing up databases. +44 (0) 118 909 3080 looks like a valid E.164 number to people or computers which expect one. Foreigners will dial the 0 and not connect and Smartphones and so forth in the the UK will turn the number into 0 (0) 118 909 3080 - which won't work. The sickness has spread to other European countries too. The Dutch often use such a notation in business cards. Its coming to a point where I think I'll switch off Plaxo because it is polluting an otherwise correct database. Sadly, this pollution is coming from my own colleages and friends. How do I persuade them to stop it? When "Subscriber Trunk Dialing" was introduced into Britain the Post Office came up with a simple system for long distance codes. A leading zero told the it was calling another exchange. Most of the codes (with exceptions like 01 for London) used names of the telephone exchanges, A, B and C were on 2 on the phone dial so, Bath, Cardiff, Carlisle had codes 022x. R was on 7 so, Bristol Brighton and Bradford had 027x codes. Some were a bit odd - Oxford had 0865 - for university. There have been various re-vamps of the numbering system. London codes split into 071 and 081, then 0171 and 0181, then 020 7 and 020 8. Reading (among others) lost its identifiable number and became 0118 But 0 still tells the system that what follows is an area code. Labels: "E164" "Plaxo Number Pollution"
I've been curious to watch how Nokia et al have reacted to the Apple Applications store for the iPhone. I know where to get stuff for the iPod Touch, but where do you go for cool N95 apps? There are sites, but nothing like the store that Apple has created. 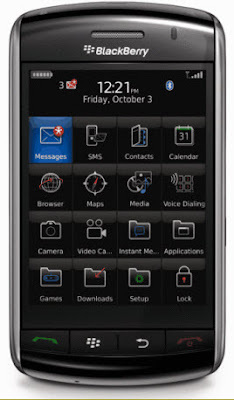 I have a N95 8GB which is a great phone, but the navigation is nothing like as straightforward as the iPhone. A few days ago, I discovered a little application from Joiku, a Finnish mobile software house. For 10 Euro you can turn the N95 into an iPhone, well sort of. The buttons make navigation in the phone SOOOOO much easier, although the N95 doesn't have a touch sensitive screen. If you're willing to shell out 15 Euro more, you can turn your Nokia N or E series phone into a WifiHotspot. Forget your dongle, just connect your laptop via wifi to the 3G phone. Great if you already have a fixed rate for the mobileweb. Also available for the RIM’s Blackberries. The lite version is free, but I wanted a version that allows more types of downloads, like Flash. Clever stuff. One of my clients, Vizrt, is doing some fascinating development of 3D graphics for websites, allowing TV stations to reuse the graphics they have already made for TV. You need to the get the plug-in from www.vizky.com - doesn't work with the Mac just yet. But it really rocks in Firefox and IE7. I believe this is one of a new set of tools stations will use to counteract Google's move into the radio and TV advertising. Today if you happen to be in the Seychelles, you're invited to an open day being organised at the BBC's East African relay station. They're 20 years old this month. Interesting to read the discussions in Hansard that happened in the UK House of Lords in 1984. This goes back to the days well before the place was built. Despite the discussion, I would have thought that the BBC's Lesotho and Ascension Island relay stations were providing good coverage into apartheid South Africa. South Africa was indeed busy with an extensive VHF (sic)- FM radio service for all languages, so as to encourage listeners to switch off shortwave and flood the market with cheap FM radios. My Lords, the British Broadcasting Corporation's signal to the Republic of South Africa is less strong than we would wish. But we are satisfied that on the whole those who wish to listen to the British Broadcasting Corporation in the republic are able to do so without excessive difficulty. Steps are being taken to improve reception in East Africa, which should also lead to some improvement in South Africa. My Lords, I thank the noble Lord for his Answer, which I think is disappointing. Would he not agree that the Republic of South Africa should be a priority target for the BBC not only because of the differences with the South African Government that we have and that the South African press have, but also because in South Africa there are very many people in all the communities who are sympathetic towards, and are anxious to have news of, this country? Would it not be possible to resume the broadcasting in Afrikaans? My Lords, as I think the noble Lord knows, the BBC's former Afrikaans service was terminated in 1957. I have to say that there are no plans for its reintroduction. It is worth noting that broadcasts such as this on the short-wave band require the listener to have a short-wave receiver and that, generally speaking, the people in South Africa appear to prefer the VHS service of the local system. My Lords, the noble Lord said that reception in Southern Africa is not as good as the Government themselves would wish, but that some improvement has been made. Can he tell the House precisely what steps are being taken towards improved reception and what are the obstacles in its way, in view of the very strong arguments advanced by the noble Lord, Lord Greenhill —arguments which are shared, I believe, by the great majority of noble Lords in this House to the effect that South Africa occasionally should hear the truth from the BBC. My Lords, I believe that they can hear the BBC signals even now; but we are in negotiation with the Government of the Seychelles to build a relay station on those islands, and that relay station, though intended primarily for East Africa, will bring benefits as far south as South Africa. Looks like they didn't really understand what was going on then. Launched in October 1988, and currently run on behalf of BBC World Service by VT Communications, the station transmits BBC World Service programmes on shortwave to an estimated audience of up to nine million listeners across East Africa. The BBC Indian Ocean relay station in the Seychelles broadcasts BBC World Service in a range of languages including the BBC's English-language output for Africa as well as programmes in Swahili, Kinyarwanda, Kirundi, Somali and French. Labels: "BBC World Service" "Indian Ocean Relay" "Seychelles" "Male"